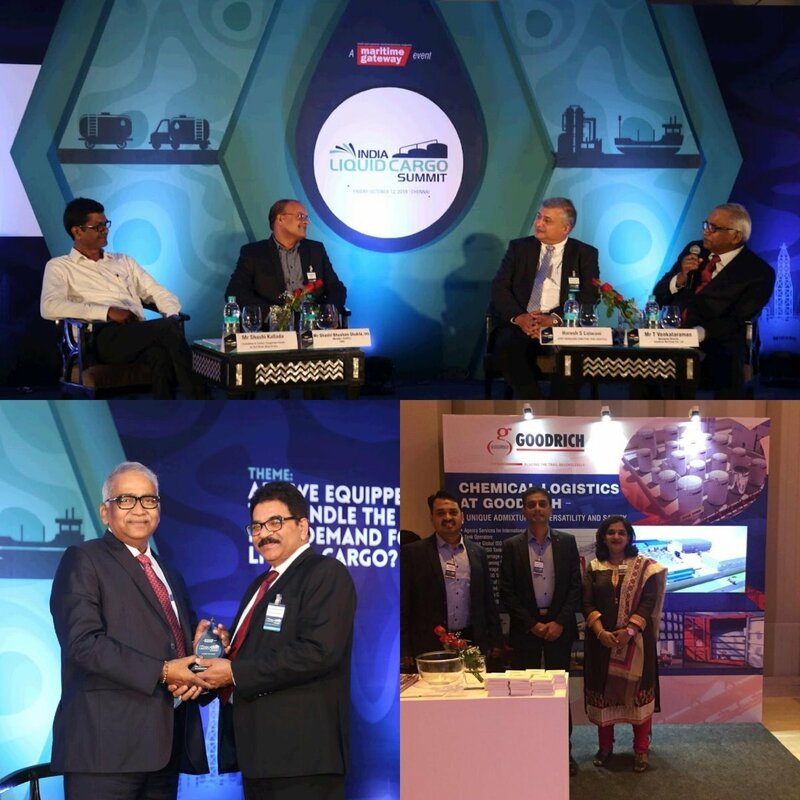 GOODRICH | Goodrich participated at the Liquid Cargo Summit organised by Maritime Gateway in Chennai, India. Our Director Mr T Venkataraman moderated a session at the event on the challenges currently being faced by the liquid logistics industry in India, he is joined by prominent members from the industry in the debate. Mr Venkataraman was later facilitated by Mr Ramprasad Managing Director of Maritime Gateway a well renowned magazine in the Indian Shipping & Logistics Industry.